Gear up, trainers! Pokemon is finally available in the Philippines, and it’s time to fulfill your dreams of becoming a Pokémon master! Developed by Niantic Inc., Pokemon GO blends the much beloved world of the classic Pokemon game with the real physical world through augmented reality. As a player of the game, you must start your journey as a Pokemon Trainer to catch Pokémon, train them and eventually become a Pokemon Master. However, unlike other mobile games, Pokemon GO requires you to put more physical effort and even strategy to progress and master the game. Here are some tips to help when starting your Pokemon GO quest. 8. Always bring extra power. Playing Pokemon GO uses internet either through mobile data or WiFi, GPS to locate you and Pokémon nearby, and even your camera as part of the augmented reality experience, resulting to heavy battery drain when playing the game. It is best to always bring an extra power bank with you to keep your game going. 7. Have fun, but stay aware of your surroundings. Holding your phone in public can possibly attract thieves who may steal your phone. You might be also too distracted around you when you are enjoying too much of the game, so be alert by keeping on the lookout from time to time! 6. Use your items wisely. Don't get carried away in your excitement to catch Pokemon. 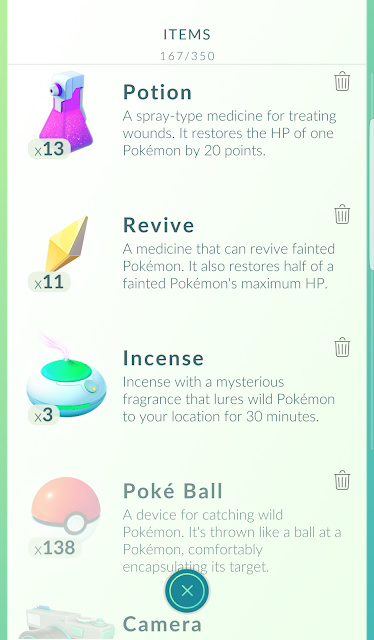 Poke Balls and other items are not unlimited, so use them wisely. When catching Pokemon, keep the Pokemon centered in your camera frame, so you can catch them more accurately. Don’t worry, though. Poke Balls can always be acquired at Pokestops, or if you ever do run out of Poke Balls, you can purchase them in bulk using Pokecoins. Need Pokecoins? With Globe, you can easily buy more on Google Play via the hassle-free Direct Carrier Billing, so you can easily charge to your postpaid bill or prepaid credits! 5. Stay on the lookout for Pokestops. 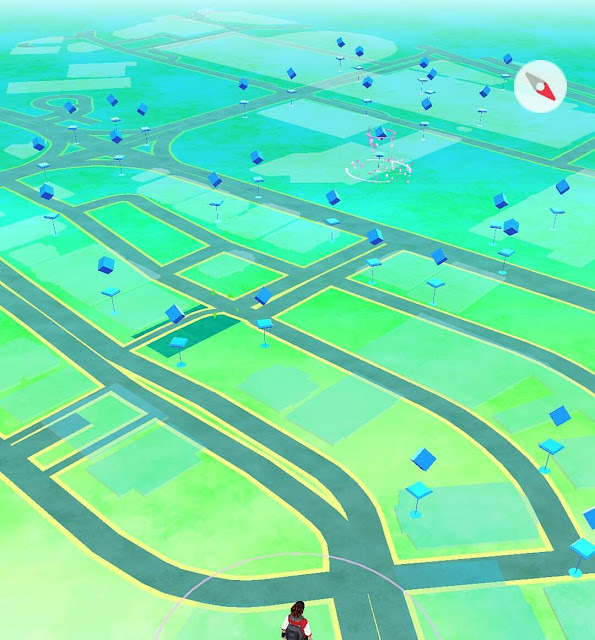 Pokestops are there to provide you with items to help you catch Pokémon, and can sometimes be spots where Pokemon appear when lure modules are applied. Pokestops are mostly located in nearby convergence areas such as malls, parks, basketball courts or even mural paintings and statues and refresh within a few minutes, so keep on collecting items! Watch out for Pokestops with lots of petals, too! This means that someone has activated a lure module there, and nearby Pokemon will be attracted to it for 30 minutes. You can activate this, too, by purchasing Lure Modules using Pokecoins. 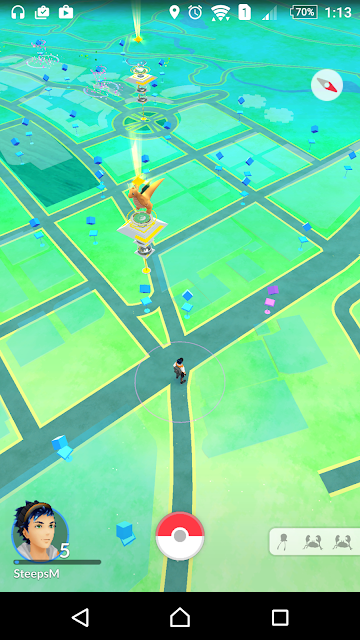 Hint: You can check out https://www.ingress.com/intel for potential Pokestop and Pokemon Gym locations, as Pokemon GO uses the same data collected and used by the game Ingress, which is also developed by Niantic. 4. Form a good team! Are you team Instinct, Mystic or Valor? Once you reach level 5, you have to choose which side you will be on. It’s best to form a team within your neighborhood or friends to give you a better advantage in certain situations, such as taking over Gyms, which allows you to gain prestige for your team and allows more Pokemon from your team to defend the Gym. Plus, if one of your Pokemon is defending the gym, you can get Pokecoins for free every 21 hours your Pokemon is in the gym. 3. Transfer duplicate Pokemon for candy. Catching Pokemon might get you a lot of the same kind of Pokemon. Got 10 Pidgeys? 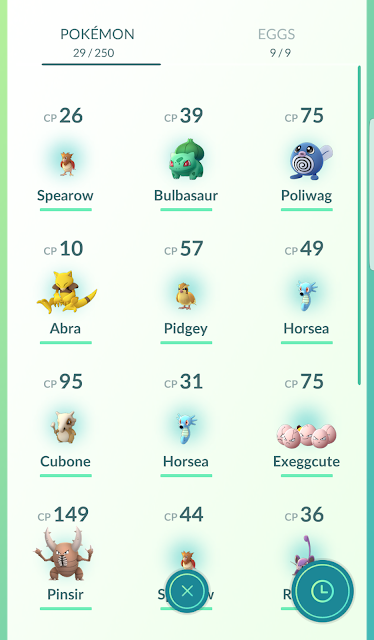 Transfer the 9 weakest ones to Professor Willow for Pidgey candies! Candies are needed to increase the combat power (CP) and other stats of your Pokemon. Get enough candies and you can evolve your Pokemon to their stronger forms. Hatching eggs will require you to travel, so make sure you place eggs in an incubator whenever you plan to do so. Right now, eggs can hatch at distances of 10km, 5km and 2km, depending on the rarity of the Pokemon inside. Use Lucky Eggs to double the experience that you gain in the game. Couple this with lures or incense to catch more Pokemon and to gain more experience. Pokemon GO just started in the Philippines, so it's inevitable for more trainers to join in the days to come. Competition is sure to become more intense, but hopefully, these tips will help you get ahead of others. If you want to maximise your data and enjoy playing the game without worries, Globe offers 7 free days of access to Pokemon GO via the Globe Switch app. Go get your gear ready and catch 'em all!